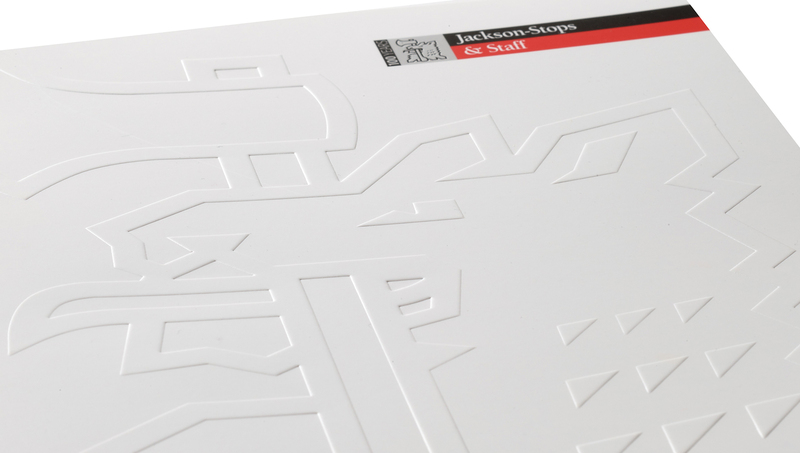 While it’s a relatively simple concept, embossing is actually a highly specialised technique, applied to the material after any printing, varnishing or laminating. It’s an entirely separate stage in the production process, requiring its own press run, which is why it appears as an extra on your print costs. 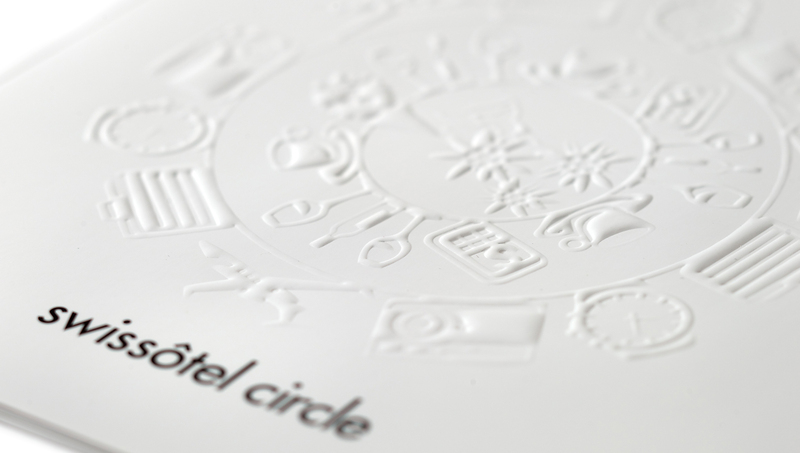 There are half-a-dozen different types of embossing, but as a rule, we have three we generally choose for our clients’ printed materials. 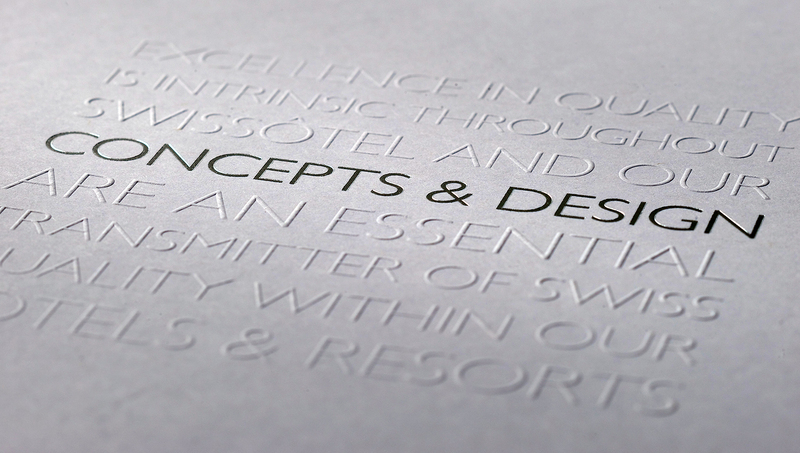 Blind embossing is about raising the surface, but with no ink or foil used to highlight the embossed area – ideal if you want to create a clean yet subtle effect. 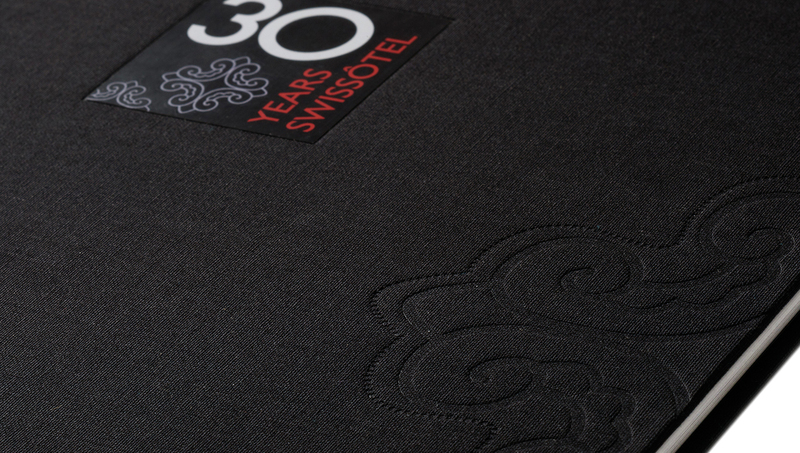 For something more striking, we recommend registered embossing (sometimes called embossed-in-register, or EIR). In this process, the embossed image is aligned with another element created in ink, foil or punching, or a second embossed image. 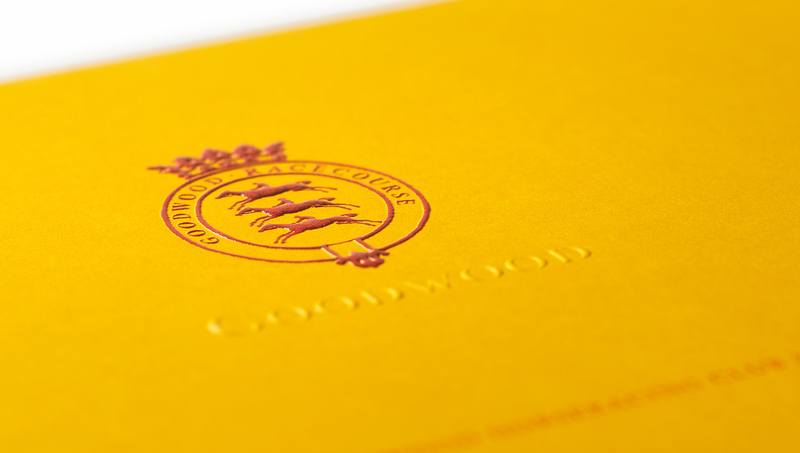 The most exacting technique is combination embossing, where the image is embossed and foil-stamped simultaneously, using a sculpted die made of brass, copper or magnesium.